Water heaters, same as heating systems, are among the most important things in every building. Whether it’s a residential or commercial building, hot water is crucial in order to enjoy the time spent there. A good water heater can last for over a decade, provided it is properly maintained and taken care of. If you are looking for water heater repairs in New Jersey, All Week Plumbing is the company you should rely on. Our excellent customer service is available to everyone in NJ and the surrounding area, every day of the week, even on weekends and holidays. When your boiler breaks down in the middle of the night and you have no one to call, we are the company that jumps in to the emergency to provide any help needed. But repairing your water heater is just the first step. You will have to maintain it regularly in order for your boiler to work at its full potential. Proper maintenance of your water heater will prevent further damage so you don’t have to spend money on unnecessary repairs, and it will save you a lot of money in the long run. 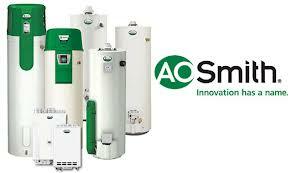 AO Smith is one of the leading manufacturers of residential and commercial water heaters in the industry. With over 70 years of experience in providing customers with top quality device. Whether you are looking for installations or a replacement, AO Smith should definitely be on the top of your list of manufacturers. 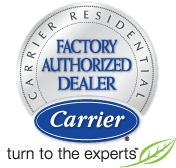 Their assortment is broad and has every type of water heater you are looking for; be it Gas & Propane, Electric, Tankless, Hybrid or Solar . As an authorized AO Smith dealer, All Week Plumbing takes pride in this long lasting business relationship. Our skilled and well trained technicians are fully licensed and insured in a variety of services; installing brand new AO Smith replacement, as well as water heater repairs NJ.